Ted Auch has responded to FWAP’s questions regarding more details from his previous study. 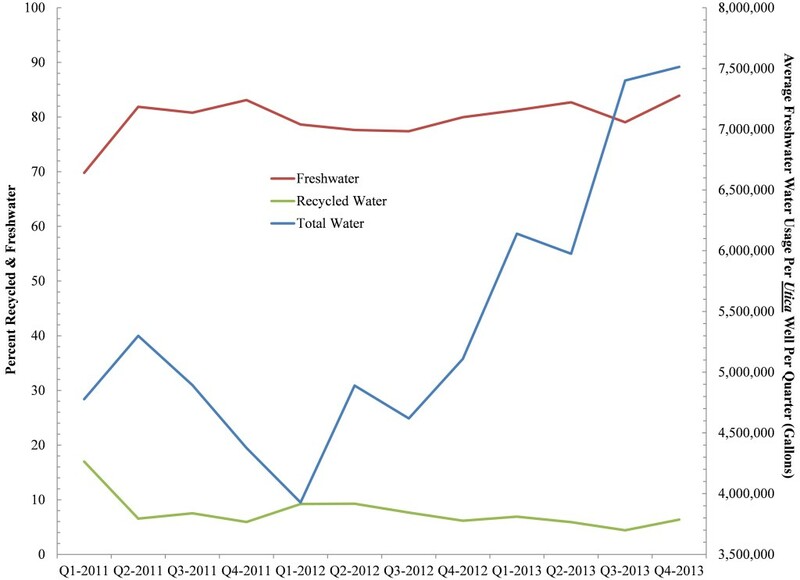 Added recycled and freshwater trend as well. But you should basically disregard the early 16% recycled water average as it is an average of very few data and really industry is sticking around 7.17-7.27% recycled water although as the average per well number is increasing recycled water in real terms is actually declining given that is a relatively static % of a number that is growing much larger than recycling. Freshwater is increasing by 2.31 million gallons while recycled water is increasing by 6,798 gallons.